Swish! Did you know: Basketball is a fantastic way to get your cardio in and have fun at the same time? Burn some extra calories while you enjoy organized games in one of our competitive intramural leagues or play some “Around the World” with your buddies. The possibilities are almost endless on our beautiful, wooden indoor courts. Onelife Fitness is one of the few gyms with basketball courts so lace up those sneakers, practice your foul shots, and stretch for that rebound, it’s game-time! Want to organize a basketball game? Talk to our front desk and we can help you put it together! Hit the hardwood for a fast, fun way to get your heart pumpin'. Play pick-up games, join a league or just shoot around for fun. Onelife Fitness offers basketball camps, games, classes, and leagues for adults too! *Intramural Leagues available in some locations, ask at your club! Sign your kids up for our specialized classes when you are working out or to our basketball camps during the Summer, too! They’ll make friends and learn a great and competitive sport at the same time. 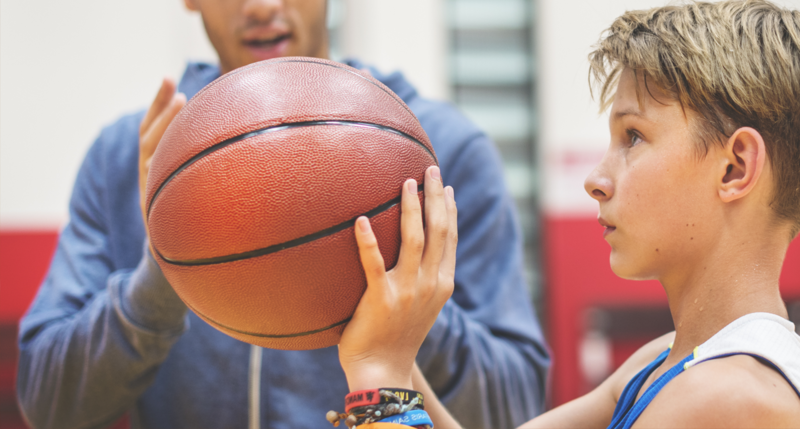 We have a full staff of coaches and referees who know all of the ins-and-outs of the game so your child can come away feeling confident in themselves and their jumpshot! *Available in some locations, ask at your club! Play Basketball in the Gym Today! To learn more about our organized basketball leagues or to reserve a court for private use, contact one of our Onelife Fitness gym locations in Virginia, Georgia, and Maryland above. To find a Onelife Fitness gym near you, search for "gym near me" on your mobile device. One of our staff members would be happy to guide you through the process of getting started in one of our organized basketball leagues or to reserve a court for you and your friends today!